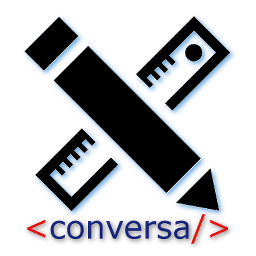 Conversa provides a free graphical user interface to the free DITA Converter (ditac) from XMLmind that you can use to easily publish your DITA projects in multiple formats. Conversa works right out of the box. 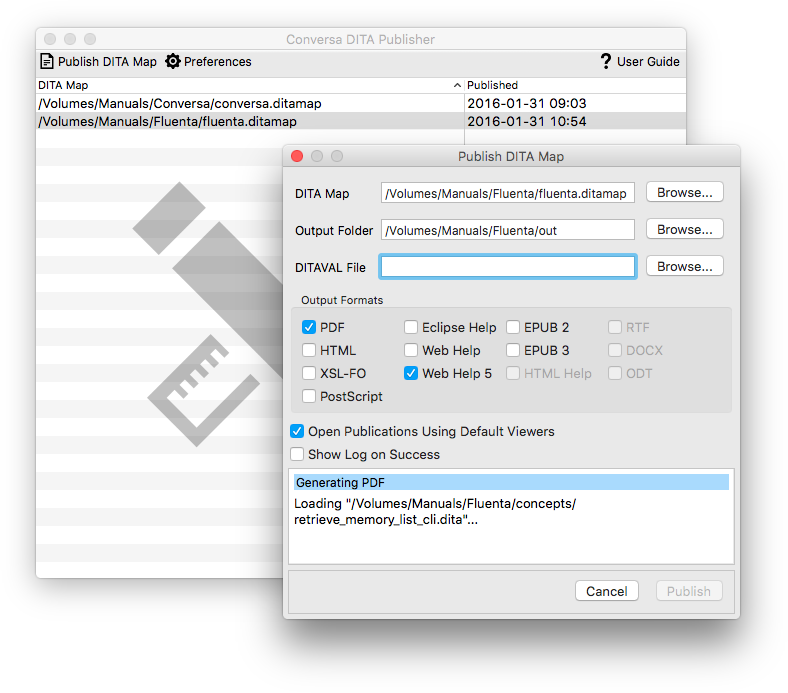 Just install it and generate PDF, HTML, EPUB or Web Help from your DITA files using the default configuration. Conversa ships with Apache FOP 2.2 to generate PDF files but you can also use RenderX XEP, Antenna House XSL Formatter or a customized Apache FOP if you want nicer PDF files. Microsoft HTML Help Workshop is required to generate HTML Help in .chm format for Windows. It can be freely downloaded from Microsoft's Download Center. XMLmind XSL-FO Converter is used to generate DOCX, RTF and ODT output from DITA files. XSL-FO Converter is a commercial product from XMLmind.